I discovered that the article was written by Jim Dailey of the Billy Graham organization. From what I can see, the article that is obtaining such wide distribution is some kind of adaptation of the Decision Magazine November 2004 interview. Also read online that Kay’s cancer is in remission (2009), Praise the Lord. We should never say that God does not see fit to heal someone. In His time, and His own way, He will work. So here we are now in 2009, and his wife is in remission, and cancer free. The glory goes to God. Thanks for the info – I hesitated even posting it without knowing who wrote it, but it was so inspiring, and with my dad passing away with cancer, it had a profound impact on my life. I appreciate the research. Sorry to hear that your Dad passed away from Cancer. Cancer touches almost everyone, either a relative or a friend. My grandpa died of cancer, and my mother survived it, praise the Lord. Through it all, our attitude is important – like Job – Blessed be the name of the Lord – he gives and takes away. It always changes our closeness with the Lord when we suffer loss – we need to draw near to Him even though it’s the last thing we want to do. Without the Lord in our lives at the time of my mother’s illness, we would have been in despair, but we clung to the bible words – Choose Life. Yet will I praise the Lord. I will live to serve the Lord. Somehow, the Lord comforts us through the tough times and I am thankful for that. Your writeup has been very comforting and healing to me. I lost my 18 year old son in a road accident all of a sudden and life has never been same for me again. Of course, now I understand that my earlier knowledge about spirituality and God were mere bookish. Now I am living and experiencing it. In last two years I have learnt what I could not learn in 44 years of my life. Earlier I used to see presence of God around me. Now I can actually feel it and experience it. Life is eternal. Body gets discarded and soul lives on. When someone close to us suffers, it opens up so many levels of understanding and our wisdom reaches new height. I don’t know whether we are paying Karmic debts this way but one thing is sure this suffering has a bigger spiritual reason behind it. When there is pain, there is gain only we cannot see or fathom it right now. Our soul is growing at an alarming speed during such times of crisis. I pray to God to take special care of you and your loving family and send a thousand Angels around you to heal you during your tough time. Great article indeed. Roger, I think the previous poster confused you. 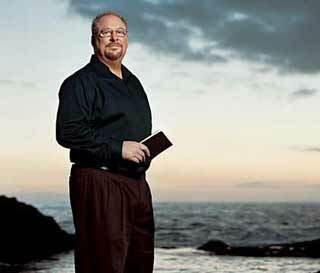 It is not written by John Dailey, it is INDEED written by Rick Warren. John Dailey wrote the questions in the interview, but Rick Warren gave the answers that make up this great essay. Respectfully to the last poster, Rodger mentioned he had an “unsourced article” that he was referring to – he was not asking for the author of the words (it was pretty obvious)… If there is any book or audio tape with these words in print it would advisable to provide those links here as well. I don’t know if Rick answered the questions in written format or verbally. If he answered them verbally, then the quotes are attributed to Rick but the authorship of the article is the person who compiled it and put it into print (in MHO).